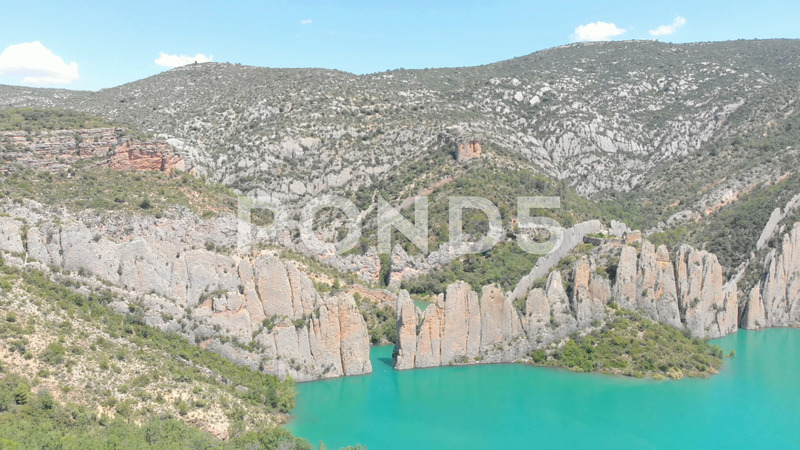 Description: Aerial view of a rock wall formation with a turquoise lake. Natural look alike Chinese wall with a castle on top of the fortification. A boat is riding on the lake. Muralla de Finestres.